End of Line - Limited Stock so hurry! These Black Herringbone wool Masonic jackets are being sold from our Ex-Hire stock. This item will have been hired out and dry cleaned only a few times, so it is still in good condition. Due to seasonal changes we periodically sell off some of our existing hire clothes at a reduced price to make way for new items coming into our warehouse. This Freemasons jacket is manufactured to a high standard from a soft, black 100% herringbone wool cloth woven in Yorkshire. 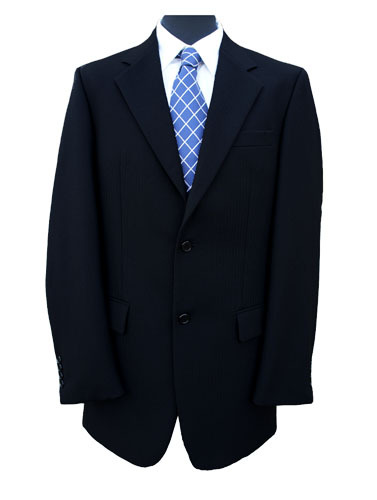 The jacket is cut to a classic 2 button single breasted notch lapel style. Please refer to our sizing guide for more info on measurements and sizing. This Jacket is supplied with a FREE suit bag. Thank you Fantastic service we shall recommend Clermont to ..